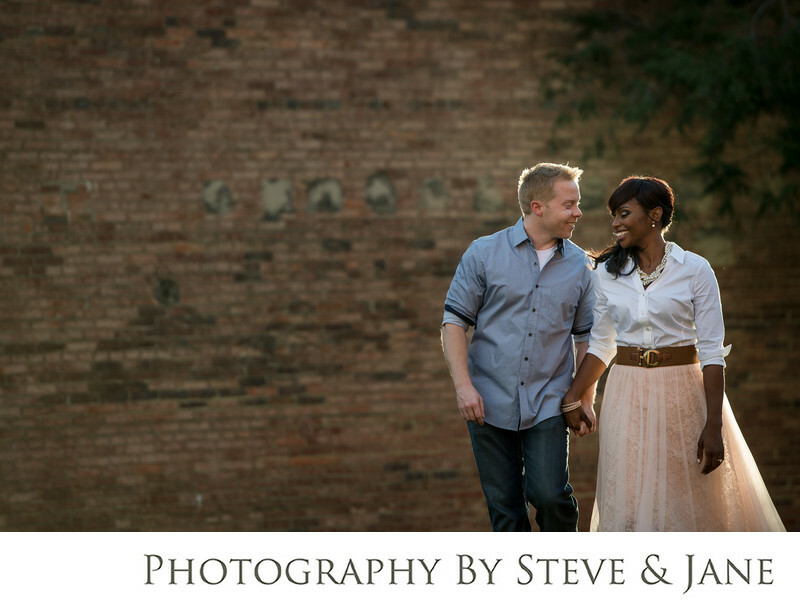 Nothing like a warm fall day in Old Town Alexandria for an engagement session. This couple chose to have their photographer, Jane, meet them by the waterfront for their on location photography session. Spending a hour walking around this historic city with this groom and bride to be was plenty of time to give them a variety of portrait locations and looks. They visited the gardens of the Carlyle House, Prince Street, and waterfront with views of the potomac for their session. Old Town Alexandria is rich in history and charm. From cobblestone streets, rows of homes dating from the 1700-1800s with painted brick or old wood siding, it's a wonderful place to spend an afternoon. It also boasts unique coffee shops, boutique gift shops, and lots of restaurants and bars. It's not only a unique backdrop for a portraits, it also has multiple unique venues for your wedding. The Alexandrian Hotel on King Street or Morrison House have both historic charm mixed with modern flair. If you are looking for something industrial and artistic, choose the Torpedo Factory Art Center right on the water. Want a cozy intimate reception space? Virtue Feed and Grain is just what you are looking for (and the food will leave your guests happy and full!). You can rent their upstairs bar and lounge. From the creamy mac and cheese to the extensive beer list, you'll be happy you chose Virtue for your party. Location: 105 N Union St, Alexandria, VA 22314.